To be comfortable in a building, both at home and at work, an optimal climate control is important. This can only be achieved with modern Building Management Systems in combination with the right pumps, in order to get an efficient distribution of water. 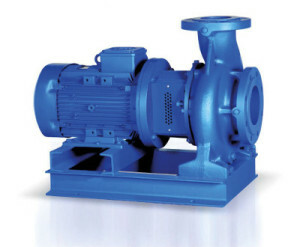 For a complete HVAC solution DP Pumps provides an extensive range of HVAC centrifugal (norm) pumps, Split case double suction centrifugal pumps, Mono-block centrifugal pumps and In-line centrifugal pumps. Also a wide range of small circulator pumps for heating and hot water is available. DPNM Mono-block centrifugal pumps for general HVAC applications are available upto large capacities. The DPNM series are compact pumps for applications where limited space is available in hight. With the unique pull back design, the DPNM series is easy to service. Like the DPNT series, various material options (cast iron, bronze and stainless steel and different seal constructions) make the DPNM Mono-block centrifugal pump suitable for many applications.